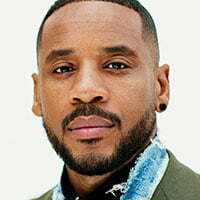 Viacom-owned MTV in the UK has commissioned an eight-part factual series fronted by documentary filmmaker, writer and director Reggie Yates. Reggie Yates vs The World will see Yates tackle big issues facing young people around the world today by experiencing them first hand. The 8×60’ series is being produced by Flicker Productions, the UK indie launched in 2016 with backing from Greenbird, and London-based funding agent Krempelwood. Filming began in eight locations around the world this March, ahead of airing later this year on MTV UK. In each episode, Yates will take on a new subject, immersing himself into extreme and unusual situations with topical relevance for young people. Yates has previously fronted a series of documentaries for the BBC’s youth-skewing online-only channel BBC3. Other recent commissions on the channel include Cribs, which will begin filming this spring, and Teen Mom Young & Pregnant, coming this autumn for MTV UK. Meanwhile, a third season of The Charlotte Show will air across MTV’s network of international channels this summer.